Air Master Systems’ Corrosives cabinets are lined with a polyethylene coating to reduce the possibility of corrosion. The interior of the cabinet contains one fully adjustable, polyethylene coated shelf. All corrosive storage cabinets include a polyethylene coated rear support bracket, a removable back panel, two 2” rear vent holes with plastic plugs, and vented front door panels. Air Master Systems’ solvent storage (flammables) cabinets include sound deadening design on doors and drawer heads, 5-knuckle, stainless steel hinges and panned up bottoms to contain spills. The exterior is finished with chemical resistant, baked on epoxy powder paint or zinc plating finish available in any standard color or safety blue. 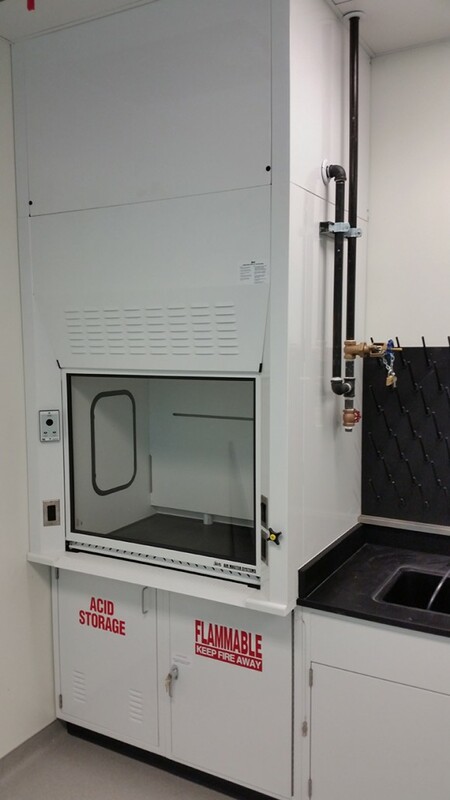 Corrosive / Solvent Storage Cabinet are available in 7 widths from 24” to 58” and 29”, 32.5 and 35” heights.